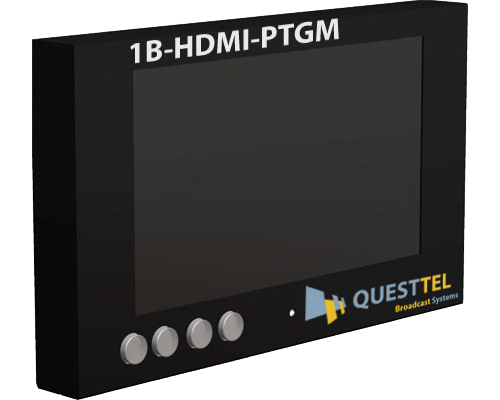 QuestTel's 1B-SDI-PTGM2 3G-HD/SD SDI Monitor offers the highest compatibility for SDI and 3G/HD/SD formats. 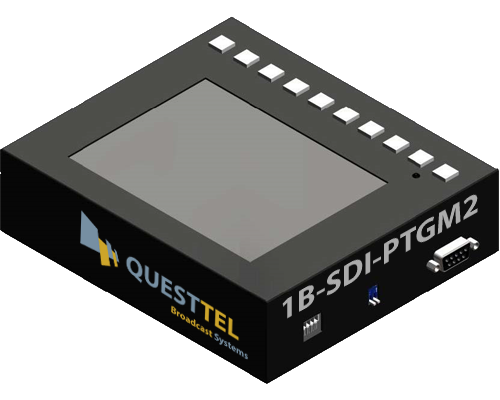 1B-SDI-PTGM2 also provides support for composite NTSC/PAL standard formats through the same input. Embedded advanced de-interlacer allows you to improve interlaced video inputs, such as SD-SDI and composite. 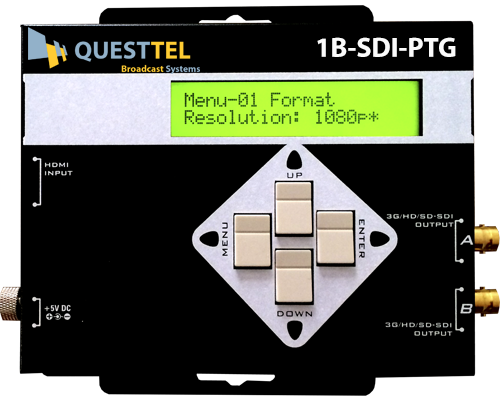 1B-SDI-PTGM2 supports up to 8 channel audio bars to indicate digital audio channel in SDI stream, it makes 1B-SDI-PTGM2 a perfect standalone solution for SDI signal quality evaluation. This product is especially designed to simplify the SDI security monitoring with affordable price. 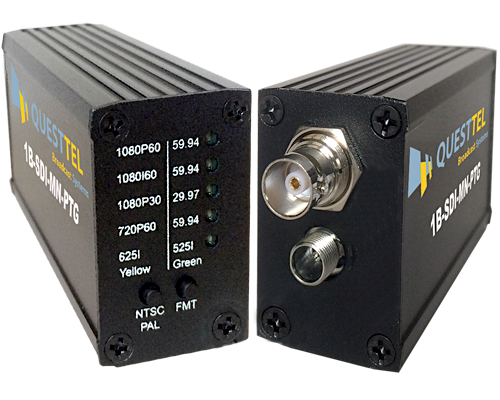 With 1B-SDI-PTGM2, SDI will not become a weakspot in your advanced SDI applications, like HD surveillance systems or SDI video editing.This device for SDI monitoring includes SMTPE 352M indicator, CRC status, EDH, audio bars, video format auto detection, and Sync status. 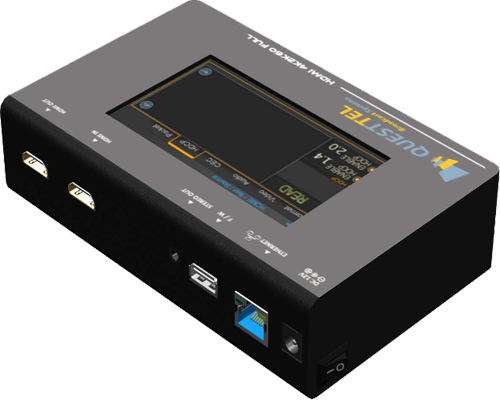 With flexible IR remote control and push buttons, 1B-SDI-PTGM2 offers a simple and effective way to track and control the display layout and status demonstration. Advanced video processing supports: noise reduction, color management, fleshtone control, dynamiccontrast control, closed caption support for CVBS, 3-D de-interlacing, 3:2/2:2 pull down detection and recovery. 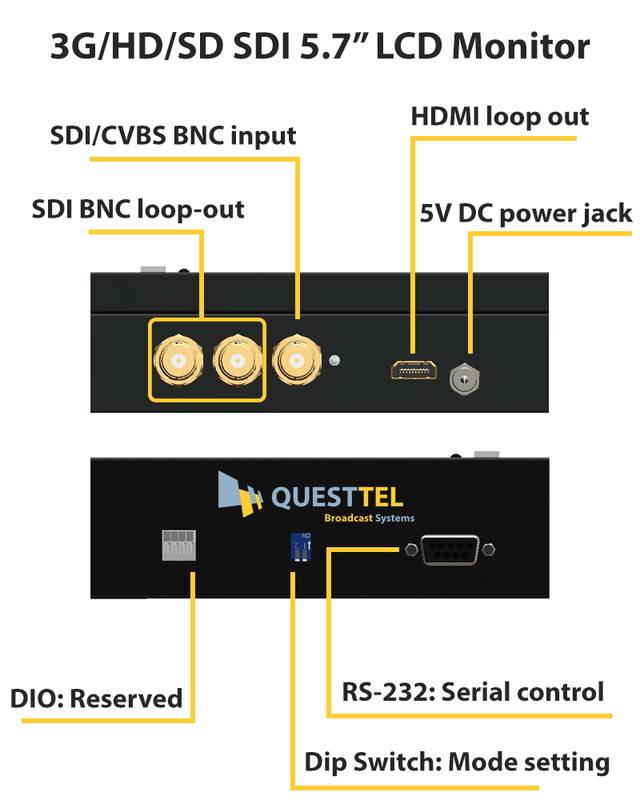 RS-232 Firmware upgradable to guarantee the functionality revised.